A few weeks ago I attended Craftcation, a business and makers conference in Ventura, California. I try to attend a creative retreat of some kind most years, mostly to nurture my creative juices and to connect with other makers. I honestly don’t expect too much beyond the ability to get away and come home revived. 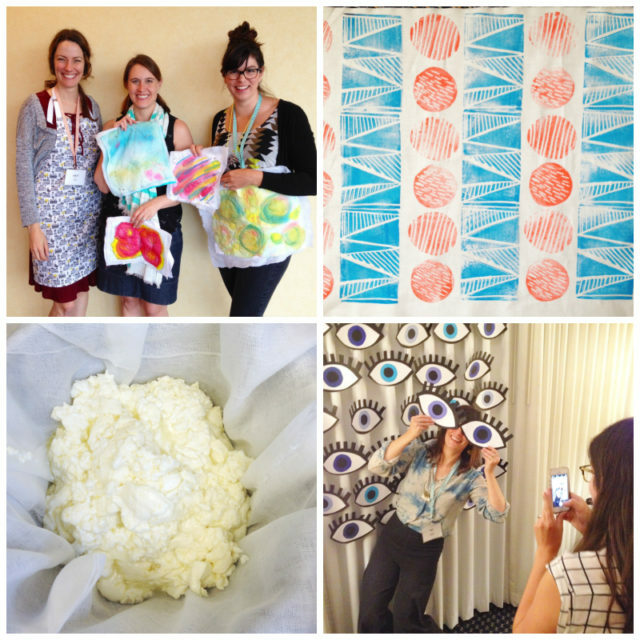 Craftcation, however, completely exceeded my expectations. Honestly, it has left me on fire! I’m already planning to attend again next year. Organized by Delilah Snell and Nicole Stevenson, this conference puts so much effort into building a community around the event and it pays off. They start by inviting all attendees and instructors to participate in a Facebook page beforehand. I connected with so many people so easily because we already knew each other a little. Additionally, the business workshops are so good that many established makers come to Craftcation as attendees as well as instructors and it’s very heartwarming to gather their insights and hear their questions alongside with the presenters. On top of that it is just so much damn fun! As far as business workshops go, I attended an SEO class with Se Reed, a workshop on social media with Meighan O’Toole, a workshop on how to teach with Ashley Nickels and a an amazing talk about authentic branding with Lela Barker. All of the workshop were top notch and I learned so much. The workshop about authentic branding with Lela Barker, however, was jaw-dropping. I was so full of ideas afterwards and need a bit of time to process it all but it sparked a lot of deep thoughts about what I want my purpose to be and where I want to take this creative career. I am brimming with excited and enthusiasm. Lela Barker is my spirit animal, folks! I realize I just called business workshops “the fun stuff” and they were fun but truthfully the fun stuff was the workshops, dinners and after-hours. I was lucky enough to bum around with two friends Anne from Flax and Twine and Carla of Small + Friendly (my girls pictured up top from left to right on either side of me, at one of our beach breakfasts!). I also met the lovely, inspiring, super rad Anna Joyce (pictured with giant eyes) who is one of those people who is so sweet and tough and says things like “you could totally write that book! Do it!” on a regular basis. Because the community aspect of Craftcation is so strong and so thoughtfully incorporated into the event, I also met dozens of other wonderful people. The cocktails and yummy food also helped everyone network. The conference is attended by mostly (but not all) women which has prompted me to describe it as “My four days with 200 kickass women”. That’s my husband’s favorite description. It’s exactly what he wanted for me. As for the nitty gritty details, On Thursday I attended a cheese making workshop with Ernest Miller and a watercolor quilting workshop with Ashley Nickels. Friday, I did repeat block printing with the inimitable Lisa Solomon and on Saturday I went back for color theory with her. She’s totally incredible and I learned so much. I’ve already started doing watercoloring on fabric using what I learned about color theory and watercolor quilting. The keynote speech was from Emily McDowell who shared her heartfelt story of massive success and the odd road sorting it all out and getting back to what she loves. It can be so easy to attend a creative person’s conference and be surrounded by successful, artistic makers and come away feeling a little “less than”. I have been there before. 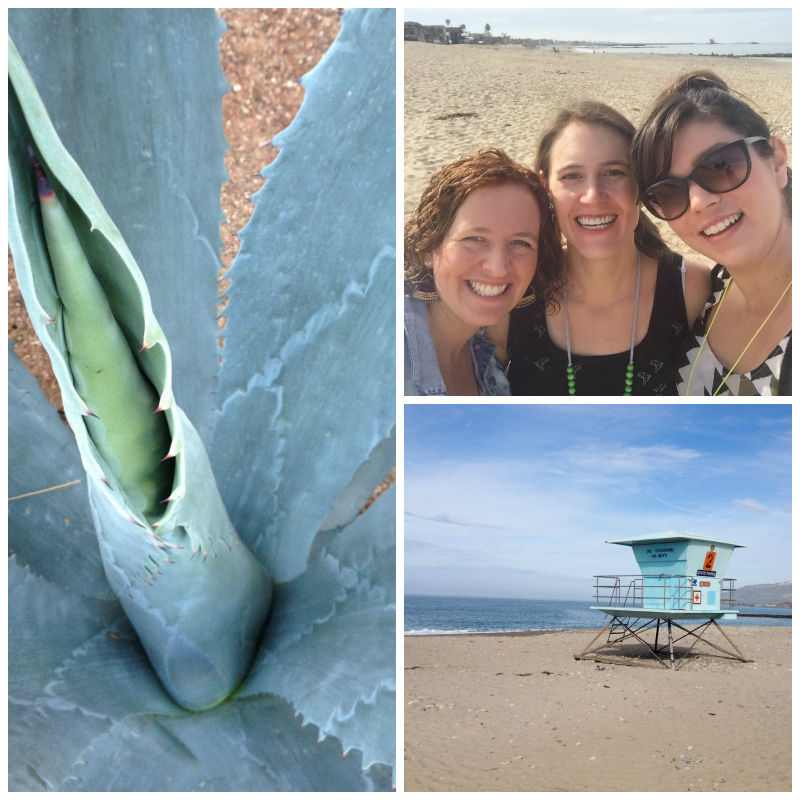 But I came home from California and Craftcation nurturing a renewed faith in this whole creative field. Knowing that we all have questions but we can surround ourselves with people willing to share the answers and the journey. Willing to laugh about it over a glass of wine and share those vulnerabilities and applaud our successes. Cheers to Craftcation! P.S. Please forgive my iPhone pictures! I didn’t lug my fancy DSLR around. Can’t wait to hear more about this! Oh, yes! We definitely need to debrief in person! Hope we can plan a date soon! I could not have had more fun with you!! Our night of wandering will go down has one of my funnest nights ever! I miss you! And I totally agree with your assessment of the conference. If you’re going again next year, count me in! Oh man! Best ever. Let’s totally go again! Woot! definitely a whole bunch of kickass women! cant wait for next year…. I can’t wait to read your post! Cheers to kickass women! I hope we can connect next year.